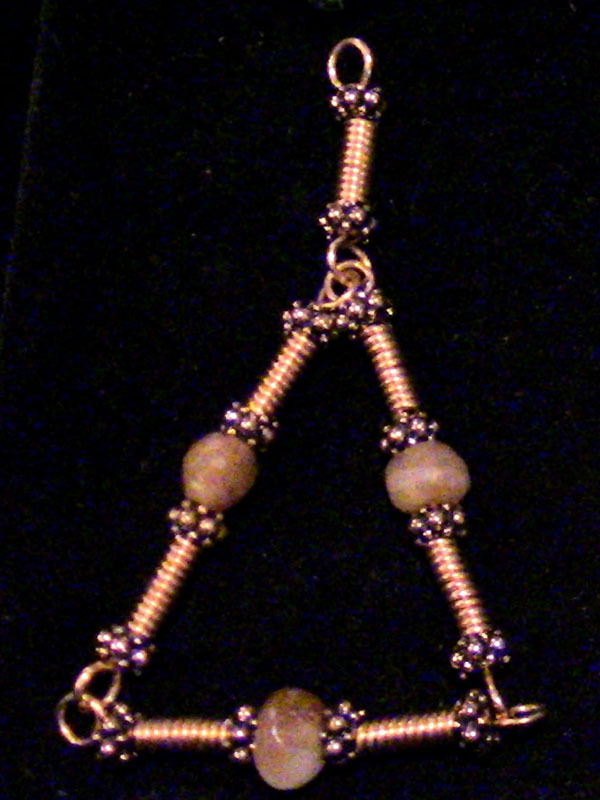 Ancient Western Asiatic Carnelian in modern copper wire & findings reconstruction. In the photo above, you see an unusual grouping of matched ancient carnelian biconicals, re-created on modern copper with modern copper handmade winding coils and handmade granular spacer beads. They all look slightly different, because it’s all hand-made. This is a stunning piece, and would do well in a body-worker’s office. It’s built to take a lot of punishment, and these stones have taken it for 30 centuries or more.